I will try to keep this post short, although it might take a little more than 10 seconds to read through! Much like Travis Jonker, in his recent 100 Scope Notes post, everyone in my office has become mildly obsessed with Snapchat. Trying to figure out how to implement in the Children’s Library has taken a little longer, but in addition to taking videos of our dance moves, we are making more of an effort to tie it into the collection. In September we are embarking on an opportunity to educate staff on how to use Snapchat by running the #SnapSeptember challenge. While our Adult Programming Librarian, Mallory Arents, has already hosted a class for patrons called Snap Like a Boss, we want to encourage staff to utilize this new social media outlet. We want to take advantage of those endless filter options and challenge staff to use them to highlight parts of the library. 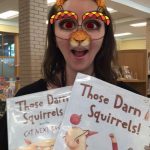 In addition to posting each day, here are some ideas for using Snapchat in the children’s library. 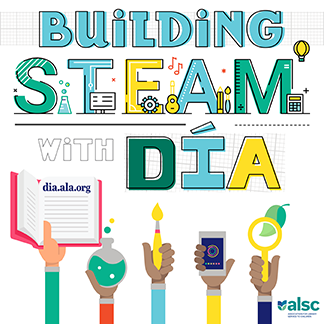 Give kids suggestions for a few last minute Summer Reading picks. It can be a 10 second booktalk, or simply a plug for a new release. 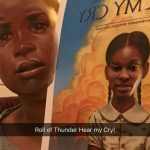 Want to share the beautiful new Kadir Nelson cover for Roll of Thunder Hear My Cry? Try face-swapping with your favorite covers. Tired of seeing that same doggie filter? Use it to showcase monthly new releases. Crazy filters call for similar read alikes. 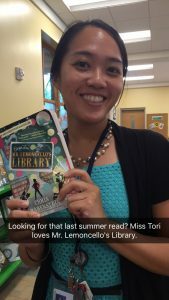 For more suggestions on how to incorporate Snapchat into your daily Readers’ Advisory practices, read Alanna Graves’ post on School Library Journal.